Wednesday 8 March is International Women’s Day. To celebrate, we’ve enlisted the help of Lauren Shippen, creator of The Bright Sessions – one of the best fiction podcasts on the planet right now! Lauren has organised a roundtable conversation alongside fellow audio dramatists from The Elysium Project, The Blood Crow Stories, The Alexandria Archives, Lesser Gods, Radiation World, Jim Robbie & The Wanderers, The Bridge, The Penumbra Podcast, and Deck the Halls (with Matrimony!). Why a podcast? What does the medium provide your storytelling that other mediums do not? I actually started The Elysium Project before I knew what podcasting was! I’d written a novelisation of the story around the same time that I discovered voice over and sound design, in 2008–09. I’d also just found sites like Pendant Audio and Darker Projects, who, to me, really pioneered the idea of internet-based audio drama. And because I had all these friends who were talented actors just starting out along with me, I thought it would be fun to adapt something I’d written and put them in it. I learned a lot producing that ﬁrst version of the series, but it so closely followed my learning curve as to what worked (or, speciﬁcally, what didn’t work) in scripting and sound design that I couldn’t use it professionally anywhere. When I started a full reboot in 2012 or so, audio drama podcasting was starting to catch my attention with shows like The Leviathan Chronicles and We’re Alive. We weren’t getting a huge audience over YouTube, so I ﬁgured that podcasts were far better for distributing something that was audio-based. For me, the medium is a huge draw because it forces me to hone my characters and dialogue so sharply. You don’t have the luxury of walking characters in without context, and you can’t rely on visual tropes to cheat development. Plus, when you look at audio drama vs audio books, sound design gives you the advantage of using non-diegetic elements, such as music, or little cues like stingers and whooshes, along with traditional SFX – things that are still familiar to us as audiences accustomed to visual media, without the budget of a TV show or movie. I tend to create on a cinematic level, so it’s an affordable way to bring my vision of a story to life and still maintain the weight of the drama it contains. I’ve done roundtable style podcasts for years, and eventually I did an audio dramatisation of a book. I found it meshed together all my favourite parts of storytelling, by providing a unique and intimate relationship with the listener. Wanting to write horror, I felt that it was the best way to present that kind of story. After struggling with the story for so long, the podcast thing started off as a bit of a lark. It was the easiest way for a group of friends in different locations to collaborate. But it also provided an unexpectedly fun outlet for creativity, while leaving room for future growth. It also lends itself well to interacting with our audience, I think; something that was deﬁnitely a priority. I actually ﬁrst imagined this project as a TV show. However, I knew as a young writer it would be ages until I even possibly got the chance to make a show of this scale. I didn’t want to write it as a ﬁlm and then wait for someone to become interested. I ﬁgured – why put this project in someone else’s hands when I could make it myself? 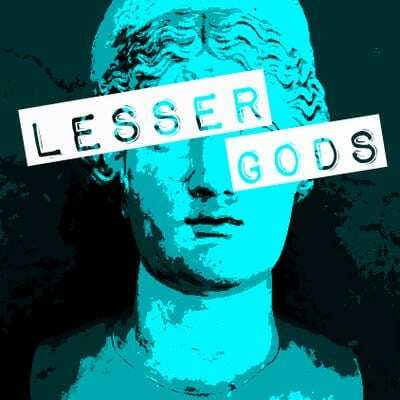 It seemed that the only way I could make Lesser Gods without compromising my characters and world (and without going into crippling debt) was to make a podcast. This format has allowed me to write as big as I want, while still allowing my audience to share an incredibly intimate bond with my characters. Before starting on Radiation World we had no idea audio drama was still a thing anyone did in the US (spoiler: it is). We just liked sounds and thought it would fun to tell a story using only them, and at ﬁrst it was mainly a creative exercise. We literally started with a list of sound effects that we thought would be fun to use (e.g. crazy birds, a distant explosion, something (or someone?) being eaten) and then came up with a general setting that ﬁtted them. The great thing about sound is that it is semi-paradoxically both more restrictive and more freeing than other media. The restrictive aspect was its initial appeal. If you listen to Radiation World, you may notice that it has neither a traditional narrator, nor (with a couple of exceptions) any clever devices to replace one. That’s because the whole point is to try to convey fully functional scenes using only sound and dialogue. For a writer, that’s a deliciously tantalising challenge. If we had some omnipotent voice explaining stuff whenever things got too complicated, that would effectively be no different than writing a book. On the other hand, sound is incredibly ﬂexible. For example, aren’t we all tired of seeing variations on the same old aliens in movies that have aliens in them? Well, if you write a whole audio episode full of aliens and don’t bother to describe them too closely, those aliens could look like literally anything the listener wants – and it doesn’t even increase your budget! It’s amazing! And that ﬂexibility can be more personal, too. So much of life is image-based. Media and entertainment certainly are. How many movies have you seen recently that don’t feature young, beautiful, able-bodied white people? It’s awesome that voice actors of all physical descriptions – who might traditionally get pushback from mainstream visual media – can ﬁnd audio roles, but the really fantastic thing about sound is that anyone can imagine themselves inside it. When you’re listening to an audio show, you can make all the characters voluptuously plus-sized if you want, or you can give them terrible acne, or a cultural background that matches your own, or a toaster for a head – whatever ﬂoats your boat. Our show happens to have a lot of intense striding around but, in many cases, the characters could be in wheelchairs. Or they might not be, it’s totally up to you. We tend to shy away from physical descriptors in Radiation World for exactly this reason. And hey, honestly, your pictures are probably a lot better than ours anyway. As someone with a lack of resources but a huge ambition to start a project, I eventually fell to audio drama. Jim Robbie and the Wanderers was originally supposed to be a stage show, but it developed into a podcast when I grew impatient. It’s been phenomenal. I can work with people from all over the country: writers in other states and musicians in other countries. I’d gone through a theatre major; I knew someone who knew the bare bones of audio editing, gathered a couple of other actors and writers, and started on this adventure. It’s rocky, but the fun of being able to do so many things I love would not have been afforded to me by just writing, just making comics, or attempting to create a web show – it makes it extremely worthwhile. Audio drama stretches and challenges me. I work on the art aspect, as well as the sound, acting, directing, organising, and writing aspects of the show. Being able to work on so many things suits me. Having to correct mistakes and learn techniques so quickly is phenomenal exercise. And that it allows me to create work that I want to hear just sweetens the pot even more! AB: A huge draw for me was the chance to ﬁnally get my work out into the world. I’d been writing novels (with the intent of getting them published) for the better part of four years now, but I’d never really got anywhere. I was hitting a point where I was ready to just give up, resigned to giving in to the fear that I’d always been a creative impostor. That I had no merit, my work had no merit, and I had no reason to think I belonged to anything that had to do with telling stories. Thankfully, I pushed said insecurities and fears aside and asked Rebecca if she’d collaborate on a podcast. We’d attempted to create one prior to The Bridge, but it never got off the ground. Out of curiosity, I dredged up an old manuscript idea about a bridge that spanned an ocean, and a disaster that took place there, and wondered if that would make a more compelling podcast than a half-ﬁnished book. Luckily, my hunch was right. 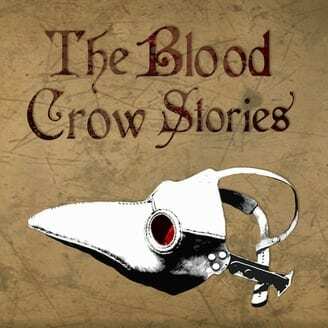 Switching over to the audio-drama world helped a once struggling book bloom into something really cool and, hopefully, a little spooky (though I’ll let Rebecca touch on that)! RM: I’m in love with the versatility and immersion of a good audio drama. I listen to them on my commute, while I’m doing chores, while I’m falling asleep … there’s essentially always a podcast in my ear. And there’s a reason radio plays of the early 20th century so often focused on ghost stories; the imagination of the listener is always going to be scarier than any visual on a screen. 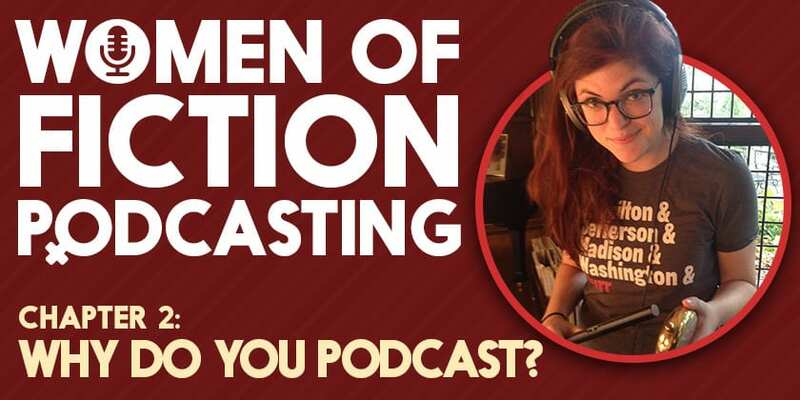 Alex and I are devotees of both podcasts and all things creepy, so when we decided to collaborate on a project, creating a podcast was practically a given. 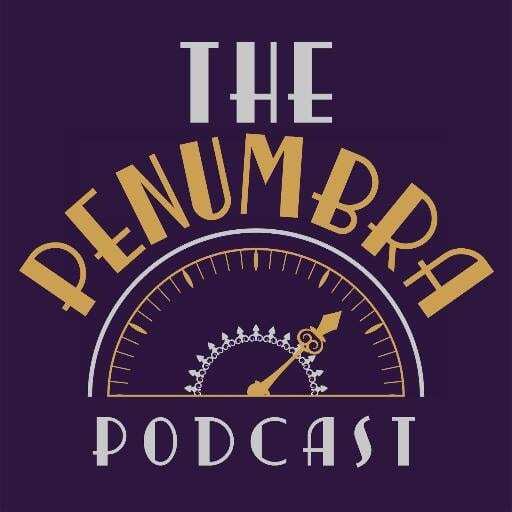 My co-creator, Kevin Vibert, and I didn’t really set out to make a podcast when we began The Penumbra – we just wanted to produce some radio plays. Once we’d put them together, podcasting seemed like a natural way to release them. But now that we’re here, I’ve found podcasts are a fantastic medium, because they have a relatively low barrier of entry in terms of cost, but they still have the potential to reach a wide audience. It’s the closest you can get to making a TV show without having any budget whatsoever. 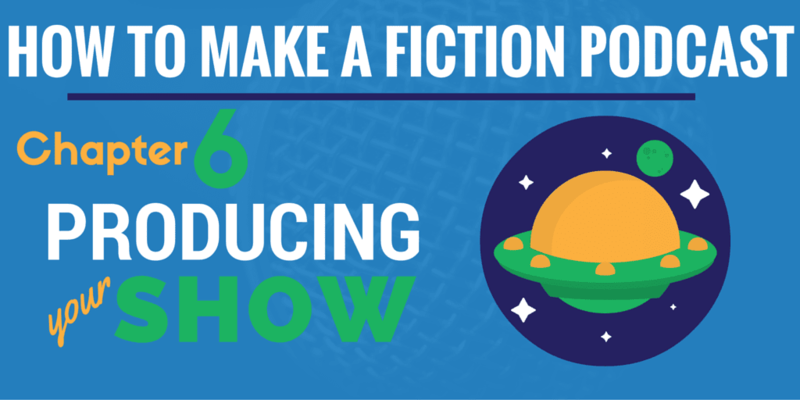 As an indie production, it would be exceedingly difﬁcult to create sci-ﬁ or fantasy stories that didn’t look discouragingly cheap and fake, whereas in audio drama you can use SFX to great effect and rely on the audience to ﬁll in the blanks for you. 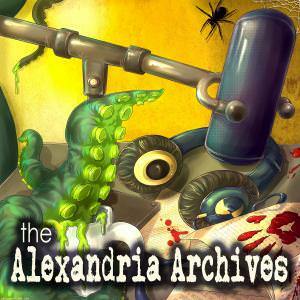 For us, a podcast/audio drama felt like the most accessible way to produce our own work and get it out to an audience. We had a script for a feature that we wanted to produce, but to have made it as a ﬁlm would have been prohibitively expensive. We realized that we could adapt the script as an audio drama and saved a TON of money, while also getting to have full creative control over the project. The audio drama format also allowed us to produce our work in a relatively short amount of time. 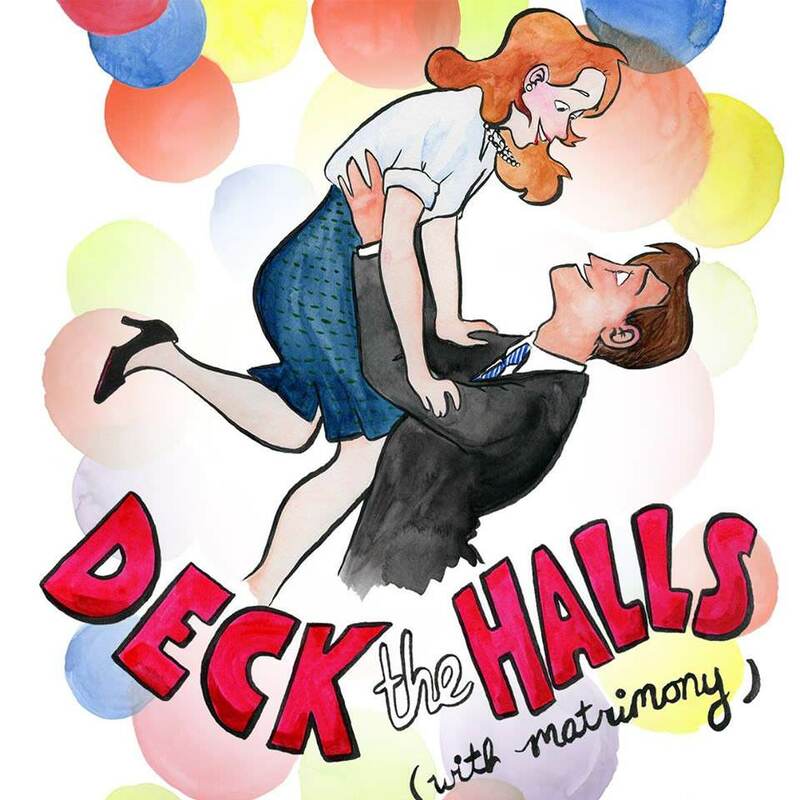 Two months after our ﬁrst cast rehearsal we were releasing our ﬁnished product, which is pretty amazing! There are also some story points that would be difﬁcult/challenging/expensive to communicate visually (I’m thinking speciﬁcally of our ‘turkey battle scene’ in Deck the Halls). While it isn’t easy, or cut and dried, to try to communicate a turkey attack with just audio, it does give you some creative freedom and allows you to let the audience ﬁll in the gaps with their imagination, which isn’t something you can do in quite the same way with a visual presentation. Pragmatic answer: money. Podcasting allowed us to produce a feature-length show with a full cast, Foley, and music for about a third of what my last five-minute short ﬁlm cost to produce. In indie ﬁlm production, you’re limited on all sides by money. Your story is often commanded by your budget. Podcasting allows us more scope and (most importantly) more run time per dollar. Whimsical answer: Sound is so carnal. It’s right up there with smell. Our caveman brains ﬂinch and ﬂare at certain kinds of sounds; when a scene is built just right, you don’t even have to reach to picture the story. It falls into your lap. I get a huge thrill out of taking apart a visual scene and trying to rebuild it with a list of sound effects and dialogue. When I started The Bright Sessions in 2015, I’d been living in Los Angeles for two years, trying to have an acting career. Things were going fairly well, but I’m an impatient and ambitious person – things weren’t going well fast enough for me. I’d been told by my acting studio, more successful friends, and mentors that the best thing to do was ‘make your own stuff’. What they usually meant was ‘make a web series, or short ﬁlm, or YouTube channel’. I’d been doing the YouTube thing a little bit and had web series experience, but to make either of those things really good you need a lot of time, money, and other people’s help. I’m not always good at relying on other people, and I didn’t have much money or time to throw around, so I had to ﬁnd another way. I knew the bare minimum about sound production and what good dialogue sounded like; a podcast seemed like the natural ﬁt. For me, cutting my writing teeth in audio has been hugely helpful. Because I’ve been acting for so long and have read so many scripts, I can recognise compelling dialogue when I read or hear it. I’m not really a visual person, so doing anything on camera felt extremely daunting. Getting to double down on what I know and dig into character’s speech patterns has been very rewarding. While there are certainly times when I think, ‘this scene would be a lot easier to write if we could see them’, working with the constraints of audio has made me a better writer and more creative thinker. Chapter 2 - Why do you Podcast? Chapter 3 - What are your biggest challenges?